I need some little more to go off of. what level are you? what are you looking for in particular bossing, mobbing, or both in general? For training wise, utilize your Summons to the max. they will help you cover certain platform, which will cut down the time for you to clear the map. Make sure you are are aware of cooldowns on FMA, such as Nautilus, and Bomb. Time them accordingly so you can clear more mobs, rather then just spamming the two. And of course you main mobbing skill is Easton. You will find it kind of a hassle at first to juggle with all the summons, just be proactive about them, and make sure to always get them out when possible, as they do help a lot with our dps. Plus just just having crew out gives you some free attack (On top of each specific buff that the 4 different summons would give). You can have 2 crew out at a time, 1 octoquaterdeck , and if you can time your nautilus properly cutting down the cooldown time for broadside, you can have up to 2 broadside summons out at given times. And then from there its just finding a rythm, casting parrotargetting on the boss, Rapid fire into Headshot whenever possible (utilizing quickdraw in between to boost Headshot damage) And then using bomb + nautilus when needed. I dont know if you are in 5th job yet, if you are I can expand a little further, but its not too much of a drastic departure from what I listed above, more so of additions to the play style. 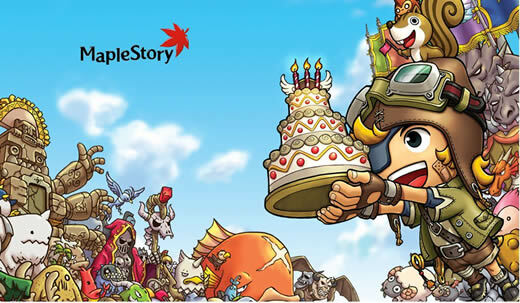 Just a reminnd, ms4mesos.com as one of the most professional online store which glad to share more Maplestory News and cheap Ms mesos trade with instant delivery.